“Thank you for the timely delivery and response to the servicing of the drilling complex”. Name of the company: Yargazstroy LLC. Location: Yaroslavl city, Russia. Model of HDD Rig: FORWARD RX33×120. “Thank you for the qualitative theoretical and practical course for our employees”. 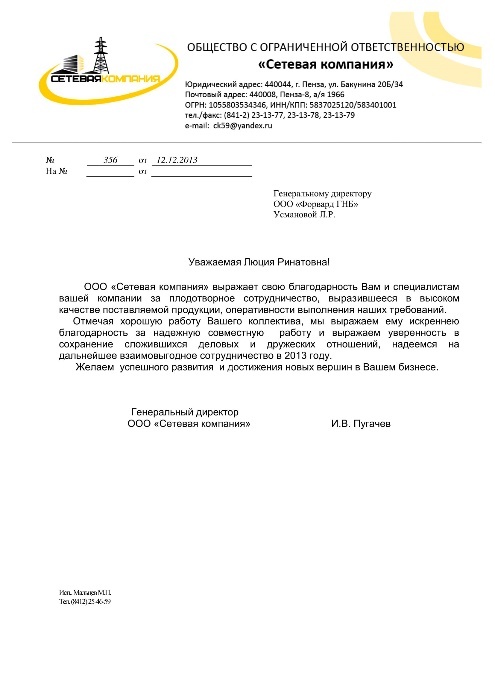 Name of the company: Fort-1 LLC. Location: Dolinsk city, Russia. Model of HDD Rig: FORWARD RX22×80. “During the operation, the FORWARD RX44×160 HDD come across very well”. 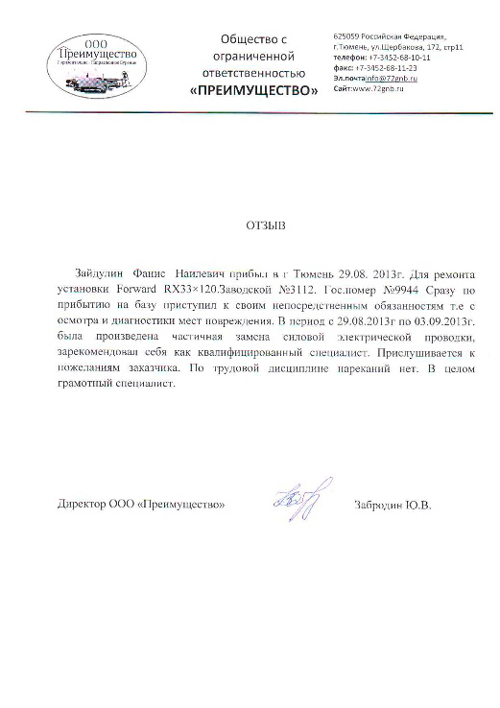 Name of the company: Techstroy Closed Joint-Stock Company. Location: Kazan city, Russia. Model of HDD Rig: FORWARD RX44×160. “With great pleasure, we here by express our sincere thanks and gratitude to FORWARD HDD”. 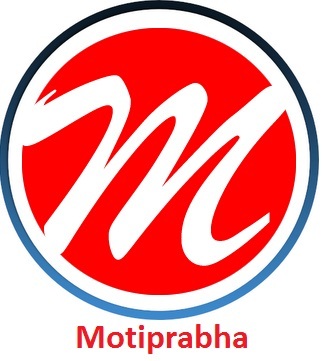 Name of the company: MOTIPRABHA INFRATECH PVT. LTD. Location: New Delhi, India. Model of HDD Rig: FORWARD RX22×80. 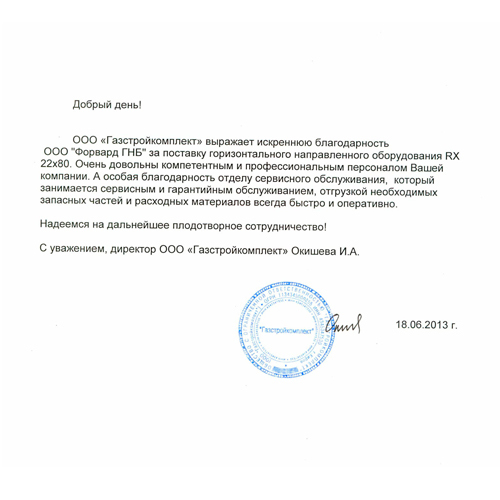 “Setevaya Kompaniya LLC thanks for effective cooperation”. 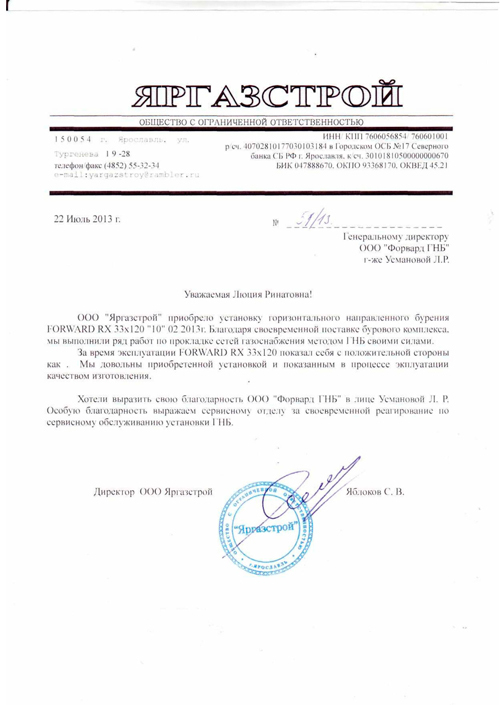 Name of the company: Setevaya Kompaniya LLC. Location: Penza city, Russia. Model of HDD Rig: FORWARD RX33×120. “Krasnodargazavtomatica LLC thanks Forward HDD Company for the timely delivery of FORWARD RX11×44 HDD Rig and its spare parts”. 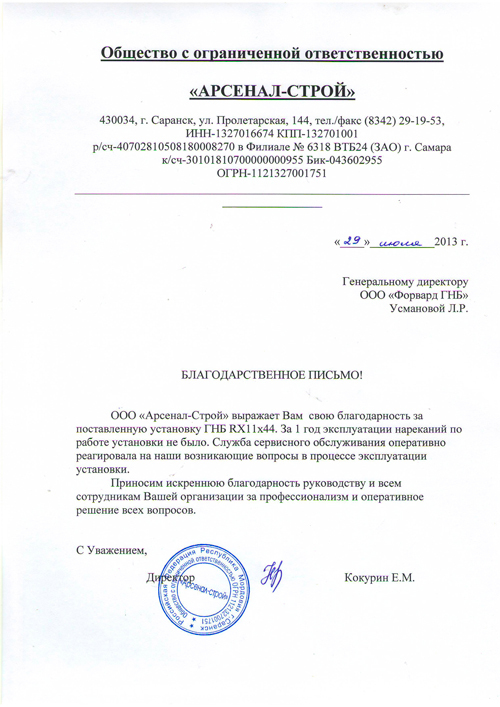 Name of the company: Krasnodargazavtomatica LLC. Location: Krasnodar city, Russia. Model of HDD Rig: FORWARD RX11×44. “By the reason of the timely delivery of FORWARD RX11×44 HDD rig, we have made all planned works in time and awarded to clients”. 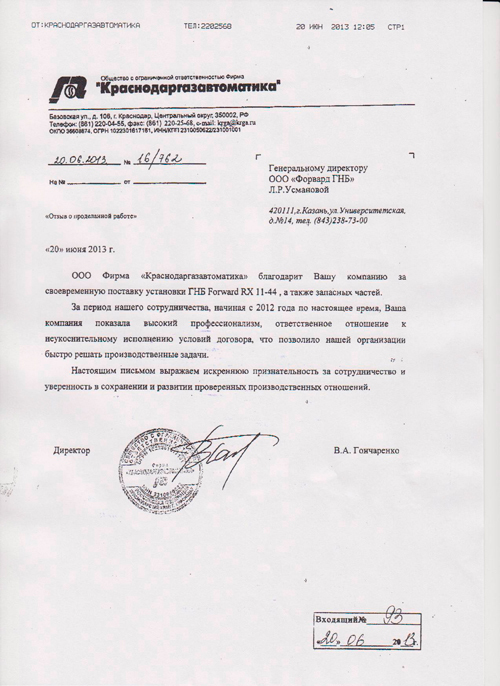 Name of the company: PSK Kapitalstroy LLC. Location: Kazan city, Russia. Model of HDD Rig: FORWARD RX11×44. “Arsenal-Stroy LLC expresses our gratitude for the supplied FORWARD RX11x44 HDD rig. During 1 year of operation there were no any complaints”. 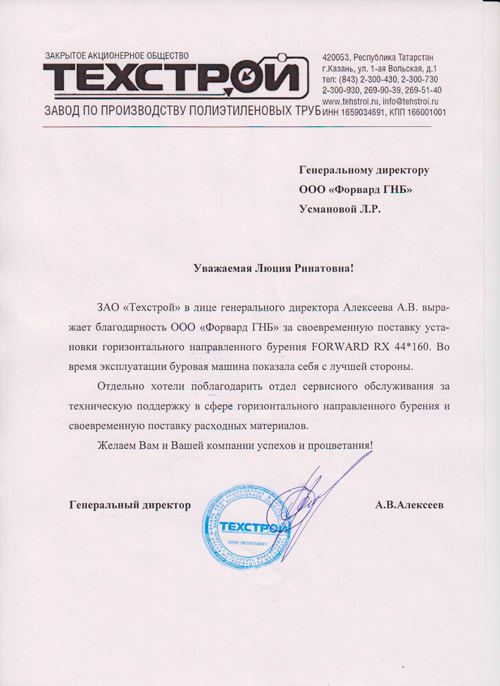 Name of the company: Arsenal-Stroy LLC. Location: Saransk city, Russia. Model of HDD Rig: FORWARD RX11×44. “We are very pleased with the acquired horizontal directional drilling rig of your company”. Name of the company: Vektor LLC. Location: Odincovo city, Russia. Model of HDD Rig: FORWARD RX22×80, RX33×120. 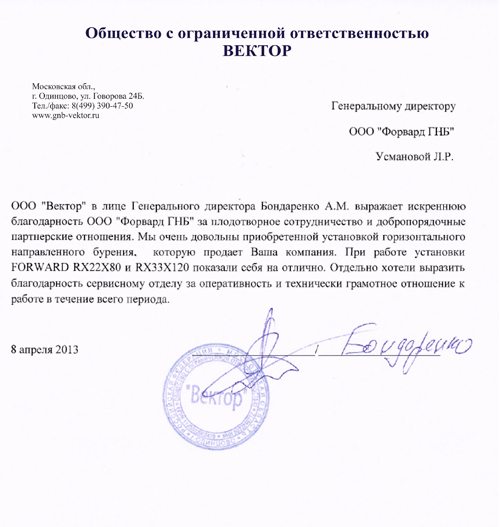 “Gazstroykomplekt LLC expresses sincere gratitude to the FORWARD HDD Company for the supply of FORWARD RX22×80 HDD Rig”. Name of the company: Gazstroykomplekt LLC. Location: Kirov city, Russia. Model of HDD Rig: FORWARD RX22×80. “We thank FORWARD HDD Company for the supplied equipment, attentiveness and responsiveness of your staff”. 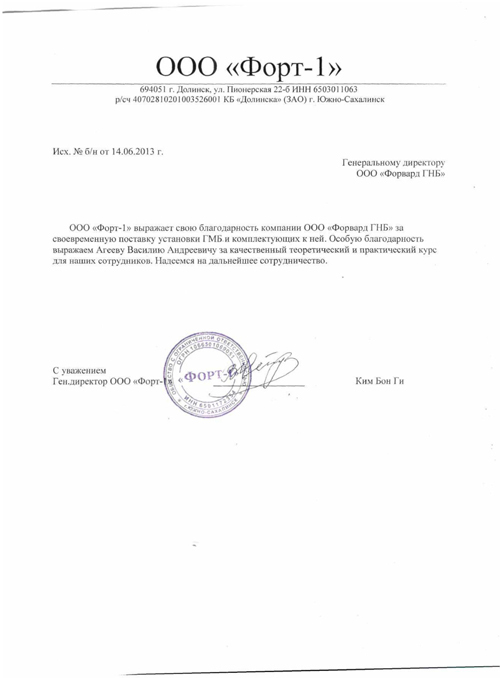 Name of the company: Rosspetsstroy LLC. Location: Yuzhno-Sakhalinsk city, Russia. Model of HDD Rig: FORWARD RX22×80. “SBT LLC for professionalism, stability, flexibility and reliability in work”. Name of the company: SBT LLC. Location: Ufa city, Russia. Model of HDD Rig: FORWARD RX22×80. “There are three things that made us choose FORWARD HDD Rig”. 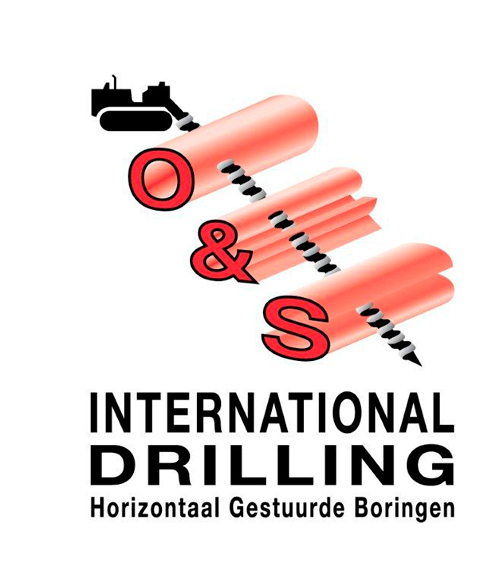 Name of the company: O&S International Drilling. Location: Amsterdam, Netherlands. Model of HDD Rig: FORWARD RX33×120, FORWARD RX11×44. 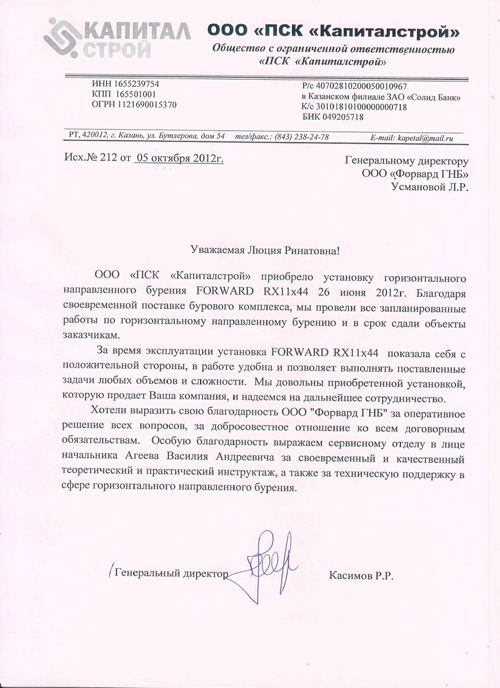 “Asyl Kazyna NS LLP expresses sincere appreciation to the FORWARD HDD”. 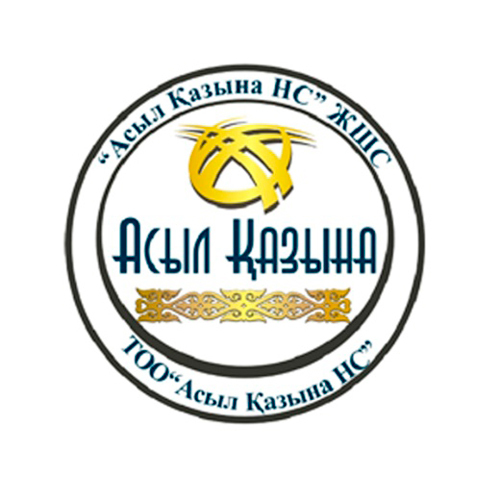 Name of the company: Asyl Kazyna NS LLP. Location: Astana, Kazakhstan. Model of HDD Rig: FORWARD RX33×120. “Timeliness of shipment allowed us continuously carryout our activities and attracts long-term customers”. Name of the company: Stroypromset LLC. Location: Saint Petersburg city, Russia. Model of HDD Rig: FORWARD RX22×80. 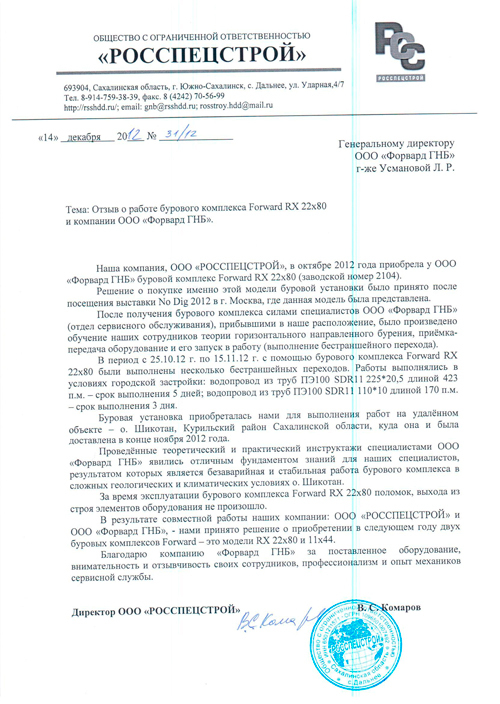 “Preimushestvo LLC express gratitude for the well-timed service”. 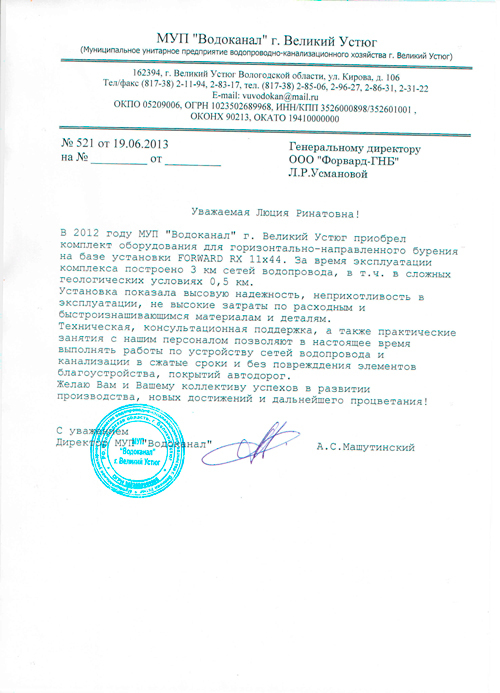 Name of the company: Preimushestvo LLC. Location: Tyumen city, Russia. Model of HDD Rig: FORWARD RX33×120. “FORWARD RX11×44 HDD Rig demonstrated high reliability, easy in operating, with low costs of consumables and spare parts.” Name of the company: MUE HCS Vodokanal Company Location: Veliky Ustyug city, Russia. Model of HDD Rig: FORWARD RX11×44.